Author: Premiere Radio Networks, Inc. 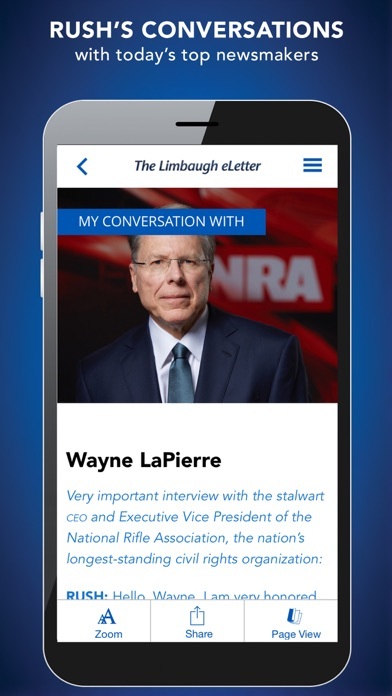 Experience The Limbaugh Letter in digital format. America’s No. 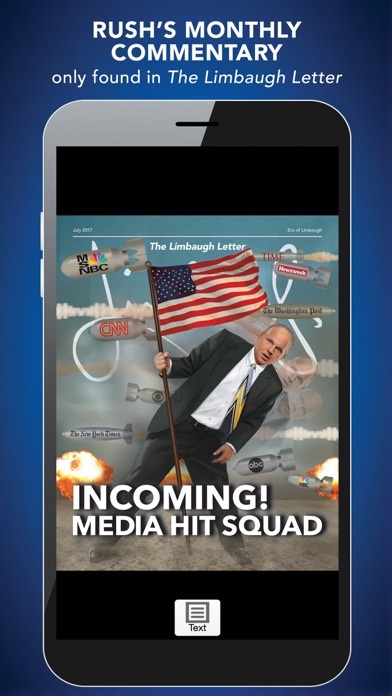 1 political newsletter, written by the incomparable Rush Limbaugh, is now available on your desktop or mobile device. 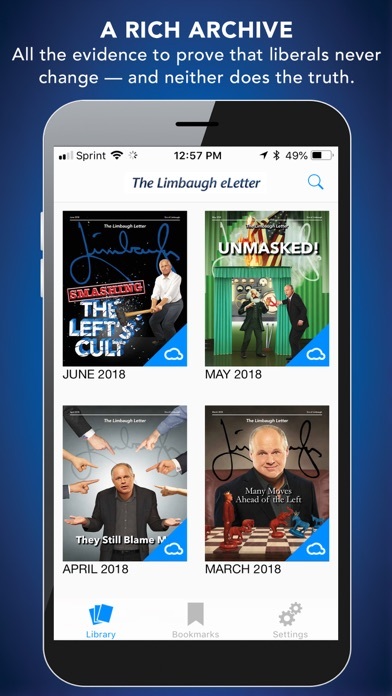 Rush’s publication is the resource you need to arm yourself against the left, with Rush’s exclusive interviews, incisive analysis, and hilarious comment on the news. 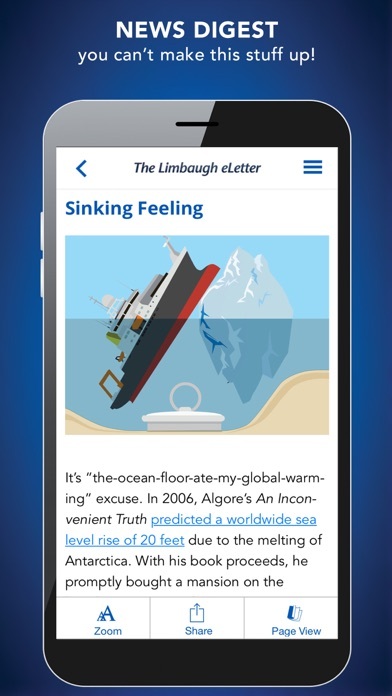 With Rush’s charts, graphs, and facts at your fingertips, you’ll be able to skewer liberal antics as Rush does. 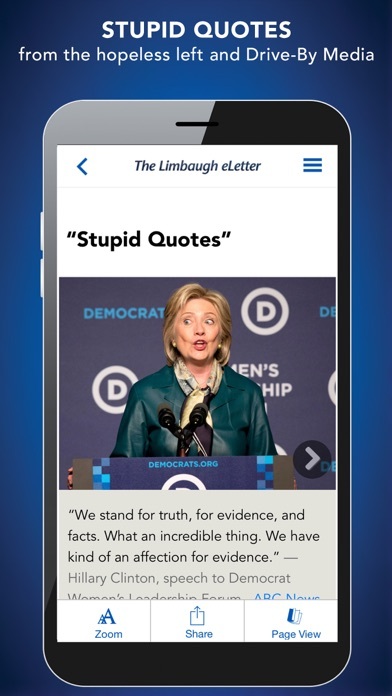 Here is on-the-go commentary and humor from America’s Truth Detector. IMPORTANT: To get full access to the available library of back issues with your subscription, BE SURE to click “allow" when asked to share your information with the publisher. After subscribing, you should receive access to all back issues within 30 days. count 24 hours prior to the end of your subscription at the rate of $29.99 for one year. You can turn off the auto-renew feature up to 24 hours before the end of your subscription by going to your Account Settings after purchase. Subscriptions cannot be cancelled during the active subscription period. by Row Sham Bow, Inc.
by UNITED STATIONS RADIO NETWORKS, INC.
by Public Radio International, Inc.